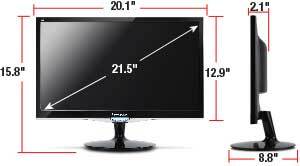 ViewSonic's exclusive ClearMotiv II imaging technology delivers ultra-fast 2 millisecond liquid crystal response times, creating smooth images without streaking, blurring or ghosting. 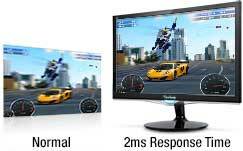 This blazing-fast response time is perfect for the most graphic-intense gaming needs, and just as great for watching sports or action movies. 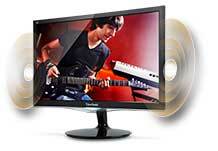 Enjoy blur-free digital broadcasts and full-motion graphics. 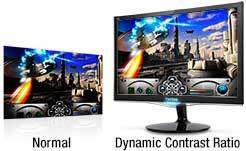 The VX52 series of displays feature Full HD 1920x1080 resolution for unbelievable pixel-by-pixel image performance. You'll experience the most amazing clarity and detail whether it be while gaming or enjoying the latest in multimedia entertainment. 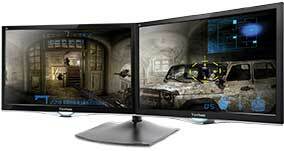 ViewSonic's Game Mode provides heightened visibility and detail by brightening dark scenes. Dominate the competition with enhanced visibility, even in the darkest scenes of a video game. With just the press of a button*, ViewSonic's Game Mode delivers superior color performance for the ultimate gaming experience. *Press the up arrow (Î”) on the screen's bezel to turn Game Mode on and off. 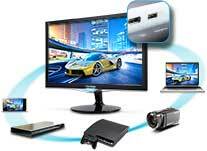 HDMI is the highest, future-proof video standard, guaranteed for true digital picture clarity. The HDMI interface on the VX2252mh allows you to connect to a variety of HD devices including gaming consoles, Blu-ray players, laptop PCs, digital cameras, and many others for the ultimate true high-definition experience. 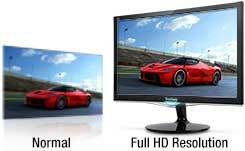 ViewSonic's proprietary Eco-mode function comes standard with the VX2252mh display. 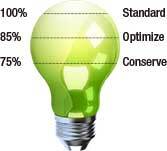 It offers 85% and 75% "Optimize" and "Conserve" modes based on the users' working scenarios. 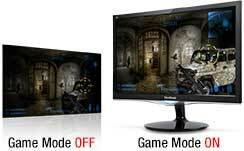 Both modes reduce display brightness and conserve energy by up to 25%*. In low ambient lighting, this function adjusts brightness to improve visibility and reduce eye fatigue. 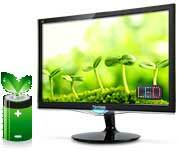 Eco-mode prolongs the monitor's lamp life, improving your return on investment. The VX2252mh has two integrated speakers for enhanced multimedia performance with crystal-clear stereo sound. *Energy savings may vary based on cost, actual usage and other factors. Programs, specifications and availability are subject to change without notice. Selection, offers and programs may vary by country; see your ViewSonic representative for complete details. Corporate names, trademarks stated herein are the property of their respective companies. 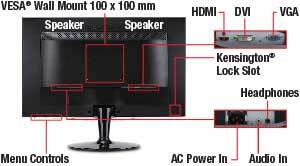 Top Level Categories for ViewSonic VX2252MH 22" 2ms 1080p Gaming Monitor HDMI, DVI, VGA.